2019- Back to the Drawing (and writing) Board . . . | At The Green House. . .
2019- Back to the Drawing (and writing) Board . . .
I’m just sitting down to start writing new ideas for At The Green House. This has always been the hardest place for me. . . waiting for the ideas to flow. There’s a special place in my mind where the characters reside. Once I’ve tuned out all the other distractions and focus in on “their space,” the situations and conversations start to come forth. 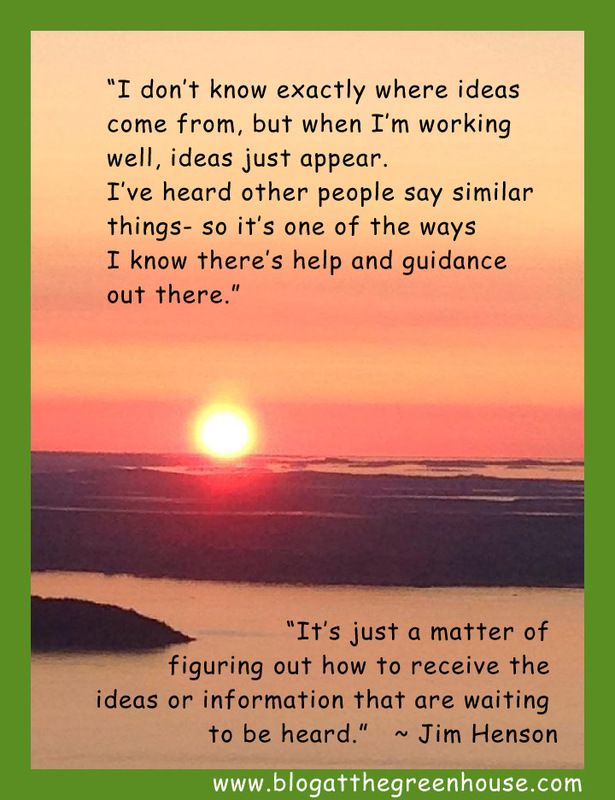 I read the quote (above) by my mentor, Jim Henson, many years ago and never quite grasped the meaning of the “guidance” until years later. . . sometime in early 2006. I was driving- and staring off into the sky above the road ahead of me. Slowly, a vision ( I guess?) came into my view. As I looked at the sky, an image of the Green House, printed in a newspaper began to form. I could see all the characters and the newsprint very clearly. . . and. . . I could still see the sky and road. The black inked lines from the comic separated from the newspaper and with a shadowed effect, the newsprint vanished and the lines of the comic hovered there in the icy blue sky. I always thought of that vision being a gift from someone- showing me that the Green House would soon be real. . . in lots of papers and successful. But that wasn’t the case. It wasn’t long before the 30 papers we’d signed up weren’t paying us. . . the editor’s who had bought the feature were being let go, and the papers we were supposed to be printed in were going under. We had to close the door on the Green House. For many years, I kept remembering that vision and thinking that my spiritual guide needed an upgrade or at least a few lessons from a more accomplished angel. It wasn’t until a few months ago that I was working on our book “Back To The Drawing Board” (a compilation of our old Green House material) and I came across THAT comic. . . the one that appeared to me many years ago. . . that I understood the meaning. I could see that moment clearly in my mind once again. . . the image appearing and separating from the paper. . . Pretty obvious now, eh? Someone out there in the spirit world was telling me that paper wasn’t the place for it. . . let it go and keep the “lines” -the spirit of the creation. And now it’s coming back. By the way, here’s THAT comic. . . Well, it’s time to start my day. . . my writing day. My wife is at work so. . . no hormonal distractions. Just let the lines fall, rise, appear where they may. . . organically. Ready to sit, open up and start receiving. . . Jim, I’m listening! 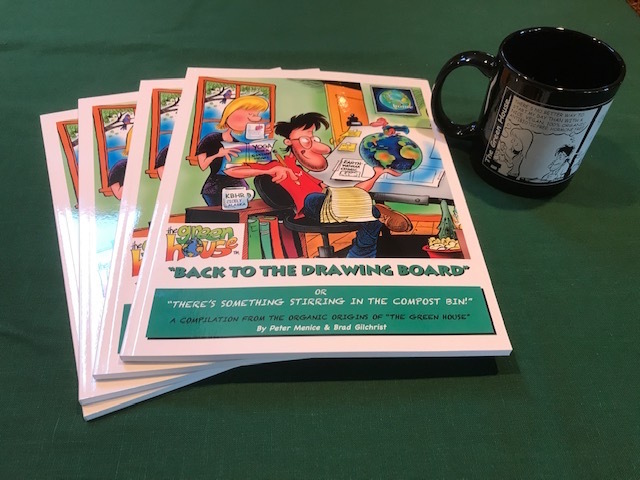 If you’d like to buy a copy of “Back To The Drawing Board” just go to the website and you’ll find info in our Store.